ONGOING READING SERIES & other suggestions for each day. OCCUPY SF, 4/15, 2012 & Feather Floating on the water, 4/15,2014, both by Jambu Press. Poems need not be written in the style of Ferlinghetti, but must embody the impact of Ferlinghetti in some way. Submissions will be enthusiastically read by the Jambu editorial team including managing editor Bobby Coleman and guest editor Virginia Barrett. Jambu Press Titles are artfully designed soft cover editions boadly distributed by Small Press Distribution. Please visit and support our local venues most of whom have calendars of upcoming events on their own websites. Golden Gate Park, near the corner of Ninth Avenue and Lincoln Way. Sacred substances psychonaut & futurist shaman, Terence McKenna (1946-2000) dies. McKenna was the author of Magic Mushroom Growers Guide, advocate of the "Stoned Ape" theory of human evolution. beat poet, Allen Ginsberg died on this day in his East Village loft in New York City, succumbing to liver cancer via complications of hepatitis. With the exception of a special guest reading at the NYU Poetry Slam on Feb. 20, 1997, Ginsberg gave what is thought to be his last reading at The Booksmith in San Francisco December 16, 1996. He was 70 years old and had continued to write through his final illness, with his last poem, "Things I'll Not Do (Nostalgias)", written on March 30. 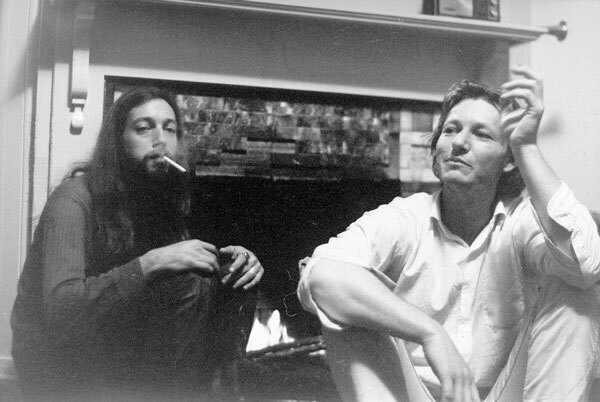 April 5, 2003 ~ Kirby Doyle (70), San Francisco Beat poet and writer, died in Laquana Honda in San Francisco. Remembrances of Kirby Doyle by McClure, Peter Coyote, Tisa Walden, Philomene Longand John Thomas, and Claude Hayward at Hammond Guthrie's The Third Page. if not each of its petals? the price of its dying? Pablo Picasso ,Andalusian-Spanish painter, sculptor. Co-founder of the Cubist movement died in Mougins, Alpes-Maritimes, France while he and his wife Jacqueline entertained friends for dinner. April 10,1931~ Lebanese born American philosophical essayist, novelist, mystic poet, & artist. Author of The Prophet., Kahlil Gibran died in New York. Seven poems from The Phophet, beginning with Love. Abbie Hoffman, Yippie peace activist of the 60's, dies at 52, a suicide. Chicago Seven radical who founded the Yippie movement. In 1967, Hoffman tossed dollar bills onto the floor of the American Stock Exchange to disrupt business. It worked. Near-riot in the mad $cramble for free buckaroonies. Since that incident, the stock exchange gallery has been enclosed the with bulletproof glass. April 13, 1986 ~ French author and philosopher/feminist Simone de Beauvoir died on this day of pneumonia in Paris, aged 78. Born and educated in Paris, Simone de Beauvoir knew by the age of 15 that she would be a famous writer and she was one of first women permitted to complete study program at the École Normale Supérieure. She had a lifelong friendship with Sartre . Simone de Beauvoir was buried next to Sartre at the Cimetière du Montparnasse in Paris. Visit http://www.allencohen.us/ for more about his work and some wonderful photos, and media most generously shared by Ann Cohen. April 25, 2011 ` IRA COHEN departed this eathly llife. Many artists have been greatly influenced by Ira Cohen, world traveler, multi media artist, poet, photographer, filmmaker, and President of The Akashic Record. You are invited to peruse this helpful digest of San Francisco Art and and Poetry information. SAN FRANCISCO ART AND POERTRY CALENDAR is not posting summitted events at this time. poem with the Jazz band. Hosted by Jennifer Barone and Ingrid Keir. Live jazz with: Daniel Heffez, Geordie Van Der Bosch, and friends. FREE admission, all ages. Food menu and bar available. (performers, audience, and friends) welcome! Poet Gail Mitchell is a native San Franciscan. Her ancestry is Black and Muskogee Nation (Creek Indian) on her mother’s side and Black, Creole, Italian, and American Indian on her father’s side. at the SF Public Library. Thomas Robert Simpson, actor, director, producer, and writer, is the founder and artistic director of the award-winning AfroSolo Arts Festival, now celebrating its twenty-fourth season. Noted for his acclaimed one-man show, Still Headin’ fo’ da’ Promise Land, Simpson writes and performs solo works about the African American black male experience. Poems that trace paths through time, genealogy, and geography, locating the generational legacy of history. Free and open to the public. of an insanely oppressive society. itler’s commercial fleet, arrived in New York Harbor flying the Nazi flag, just days after violent anti-Semitic riots rocked Berlin. corner of Masonic and Fell, Golden Gate Park Panhandle. We will have our usual signs, music, candles, and snacks. Join us for the whole two hours or for just five minutes. If you join us, please dress for the weather. All performance styles welcome!Participants must patronize the cafe. Following will be the Open Mic. 1275 Minnesota St. and 1150 25th St.
Southern Exposure's Youth Advisory Board is excited to announce the 35 artists who have been selected for their spring juried show! Youth have long been regarded as a peripheral footnote in the art world, and yet youth culture is highly influential. Southern Exposure invited the Youth Advisory Board (YAB), a team of curators ages 16-18, to choose works that are emblematic of youth culture now for our spring juried exhibition. Indexical Moment/um,the launch of a visual archive of codes, symbols, and images that signify safety and community welcoming, in the tradition of quilts from the Underground Railroad, and including performances by poet Tongo Eisen-Martin, with music by Marshall Trammell, electronic musician Sharmi Basu, and accordionist Umesh Mallery. April 2, 1960 ~ During this month, while drunk, Beatster Jack Kerouac falls & injures his elbow in New York's Penn Station. Still later, in May, while drunk in the Bowery, he falls again & injures his head; Kerouac experiences first bout of delirium tremens. 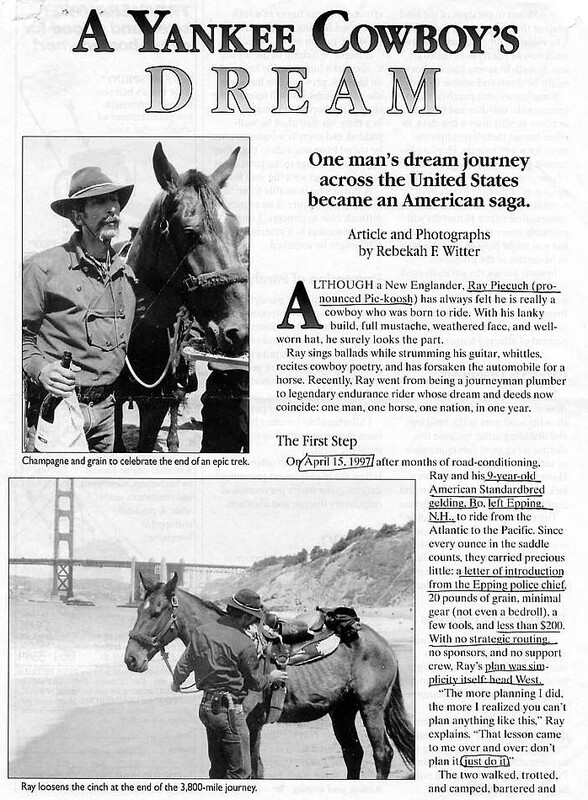 April 5, 1998 ~ Ray Piecuch, a cowboy poet from New Hampshire, completed his year long 3,500 mile ride across country on his horse, Bo, with a champagne celebration at Baker Beach. April 13, 1962 ~ Rachel Carson's book indicting the pesticide industry, Silent Spring, is published. Two years later on April 13, 1964, American ecology writer Rachel Carson falls silent in Silver Spring, Maryland. Vietnam War protest as 100,000 people marched from Second and Market to Kezar Stadium at Golden Gate Park. Vietnam veteran David Duncan gave the keynote speech. April 20, 1841 -- First detective story, Poe's "Murders in the Rue Morgue") published. 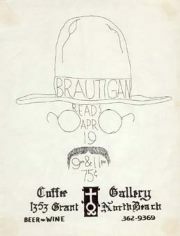 Brautigan gave a poetry reading with Andrew Hoyem at the Coffee Gallery, 1353 Grant, in San Francisco's North Beach. Some 20,000 people marched in San Francisco in opposition to US policy in the Middle East. My own and others contributions to the protests held against the upcoming War in Irag. Mr. Scott-Heron’s career began with a literary rather than a musical bent. He was born in Chicago and reared in Tennessee and New York. His mother was a librarian and an English teacher his estranged father was a Jamaican soccer player. “Revolution” established Mr. Scott-Heron as a rising star of the black cultural left, and its cool, biting ridicule of a nation anesthetized by mass media resonated with the socially disaffected campus activists, media theorists, coffeehouse poets — for four decades. April 2, 1945 ~ born Anne Waldman in Millville, is a poet, performance artist, literary theorist, feminist, and cultural activist, has channeled her passions and experiences into poetry, urging us toward civic and political responsibility. Waldman, with Ginsberg, founded the Jack Kerouac School of Disembodied Poetics at the Naropa Institute in Boulder, Colorado (now Naropa University), and she remains a Distinguished Professor of Poetics and the Director of Naropa's famous Summer Writing Program. April 3, 1783 ~ born, Washington Irving (1783-1859). American author, short story writer, essayist, poet, travel book writer, biographer, & columnist, best known for the short stories The Legend of Sleepy Hollow; Rip Van Winkle. In Joseph Heller's novel Catch-22, the central character, Captain Yossarian, signs the censored letters of the soldiers with the name Washington Irving (or Irving Washington). April 7,1770 -April 23, 1850 ~ born, William Wordsworth, major English Romantic poet who helped to launch the Romantic Age in English literature. April. 8. 563 BC ~ born in Kapalivastu, India, Gautama Siddhartha, (Buddha) spiritual teacher who founded Buddhism. April 11, 1944 ~born, Csaba Antal Polony, passed away peacefully at his home on March 9, 2014. April 15, 1452 ~ Leonardo da Vinci. was born on this day.. Leonardo de Vinci was an Italian polymath, being a scientist, botanist, musician mathematician, engineer, inventor, anatomist, painter, sculptor, architect, and writer. He has often been described as the archetype of the renaissance man. April 15, 1898 ~ born, Blues vocalist great Bessie Smith in Chattanooga, Tennessee. Nicknamed The Empress of the Blues, Smith was the most popular female blues singer of the 1920s and 1930s. Bessie Smith (wikipedia)..
April 16, 1844, born, Anatole France, poet, journalist, and novelist in Paris. He was a member of the Académie française, and won the Nobel Prize for Literature in 1921. On May 31. 1922, France's entire works were put on the Index Librorum Prohibitorum (Prohibited Books Index) of the Roman Catholic Church. The Index was abolished in 1966. Poet Bob Kaufman was born in New Orleans, Louisiana.In 1959. Bob Kaufman was a founder of Beatitude magazine. "He was an original voice. No one else talked like him. No one else wrote poetry like him." April 20, 1893 -- the great Catalan artist, sculptor, prolific printmaker, and bon-vivant, Joan Miró . and select other SFADA member galleries present special opportunities to connect with artists or learn more about current exhibitions. Events are free and open to the public unless otherwise noted. Check back often as these events are continually updated! ART CHANGES LIVES, you can, too. My face feels like a living emotional relief map, forever wet. My hair is curling in anticipation of my own wild gardening. of air every day, cool. and the sun was hotter than today. Dead leaves picked up by the shovelful. You see, I have not forgotten. It is a song resembling us. and I who loved you. the steps of lovers gone their ways. The always ready treasure of pendulous breasts. In mourning for absent chimeras. A familiar empire, the inscrutable future. 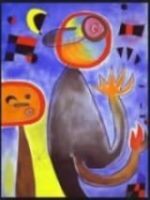 ~(aka the Deaf Cinema List),a collection of films in ASL & other Sign Languages. Thanks to John Lubostky who researched and compiled this DeafMovies list! Since 1964, CPITS has become one of the largest writers-in-the-schools programs in the nation, serving students K-12 in districts both urban and rural. California Poets in the Schools empowers students of all ages throughout California to express their creativity, imagination, and intellectual curiosity through writing, performing and publishing their own poetry. We train and coordinate a multicultural network of published poets, who bring their passion and craft to public and private schools, juvenile halls, hospitals, libraries and other community settings. Since opening in 2006, this nonprofit organization has enlisted help from hundreds of qualified volunteer tutors eager to teach students in the area. Children’s Creativity Museum is a non-profit organization that offers is a hands-on, multimedia arts and technology experience for kids. ~ WEB LINKS~ ♥´¯) ¸.♥´¯)¸.♥´¯) (¸♥´ (¸.♥´ (¸♥´ (¸.♥´¯`•.✿◠‿◠✿¸¸.♥ Enjoy! by McClure, Peter Coyote,Tisa Walden, Philomene Long and John Thomas, and Claude Hayward. BJ PAPA Interview by Catz Forsman. surrealist.com ~ A history of surrealism, surreal art, and the artists involved in the surrealist art movement. A definitive history of the surrealist movement. Essays, newspaper columns, letters and editorials.